Tales from the Real OC (Really! ): San Diego Here I Come! San Diego Here I Come! Okay, starting to get very excited about Comic Con. Not just because of this Newsweek article. Not just because the entire cast of True Blood, including creator Alan Ball (love him! ), and author of the SOOKIE STACKHOUSE series (haven't read them yet, but am dying too! ), Charlaine Harris, will be there. But because I get to catch up with some writer friends that I don't get to see all that often, or that I only know via e-mail, and now I finally get a face to face!! I hear it's been sold out since December, but if you happen to be a ticket holder, stop by and say Hi--the details are in the blog post below!! Also, I did this really fun interview on Ever's fashion sense that can be found HERE. As a side note, I've heard from a lot of people who tell me they didn't envision Ever dressing and/or looking like that, so I just want to say that the photos are the interviewer's high fashion concept of Ever (and I think they're cute! ), but they're not my depiction of Ever. I just provided the answers. Ever is pretty much a jeans & T-shirt kind of girl! And last but not least: I'm thrilled to announce that BLUE MOON remains at the #1 spot on the New York Times Bestsellers list for Children's Paperbacks this week and #18 on the USA Today General list, while EVERMORE is at #4 on the NYT list, and # 53 on the USA Today list!!! Cyber hugs to every single one of you who supported them!! 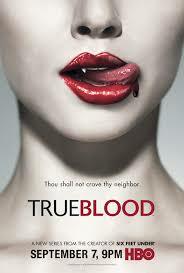 I have always wanted to know what True Blood is about. Is it based on a book or is it just a DVD itself? Ok, I couldn't wait for Blue Moon so I ordered it from Amazon.com. I paid twice as much for it because of shipping!!! I didn't even care. I got it today and have finished it already! I was so impressed. I was not expecting it to be as good as the first book but....IT WAS!!! Again great job. I hope you have many more years of excellent writing in your future. Hey Kajikitsuen- True Blood is a show on HBO, now in it's second season, and it's based on the SOOKIE STACKHOUSE series written by Charlaine Harris. I've been wanting to read the books forever-just haven't had time yet, but I think there's something like 7 or 8 of them out there (maybe even 9- she's been at it for awhile!). Hope that explains it! Hey Anonymous-- You truly made my day. Truly. Thank you so much for all the effort you went to to get my book!! Hope you like SHADOWLAND too! I got Evermore on the 21st (I bought it at a airport because I was coming home and my ipod was dead) and I really loved it. Yesterday I got Blue Moon and didn't fall asleep till, like, two in the morning 'cause I couldnt fall alseep with the story hanging like that in my head. I finally finshed it today. i know I sound like I'm babbling now so i'll just cut to the chase: I noticed how Blue moon came out a little earlier than expected (it says it was expected to come out nxt month) and I was wondering if you think maybe Shadowland might come out earlier than February? I'm impatient. Gracie- You are too sweet! Thank you so much, I'm so glad you enjoyed it! And yes, good news, SHADOWLAND will be out a month earlier, in stores on Jan 5 now instead of Feb.
Every time you click on a tulip you will hear a hidden audio clip of a scene not contained in the book! Hey Alyson! I love love love your books! I can't wait for Shadowland, I'm psyched! By the way I wanted to check out at the fashion interview you did, but the link didn't work,so I checked for another link. Hey Anonymous- thanks so much! That fashion interview was a blast-a different spin from the usual questions! BLUE MOON is a #1 NYT Bestseller!!!! GCC Presents . . . Jennifer Banash!! Coupla Things . . .
My office just got prettier . . .